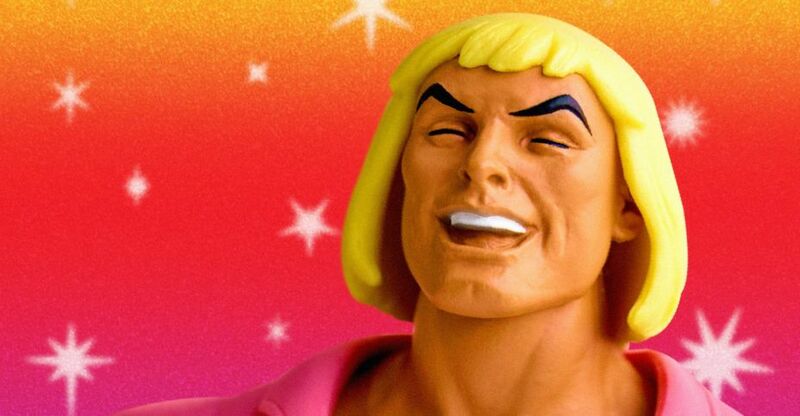 Masters of the Universe fans who wanted the upcoming San Diego Comic-Con 2018 Exclusive Laughing Prince Adam Figure, but couldn’t attend the event, are in luck! After a huge response from fans, Super 7 is making the figure available in a limited general release. Starting on Monday, July 9th and running until Sunday, July 22nd, fans will be able to pre-order the figure for delivery in October. The figures will be made to order, so any fans who pre-order during that time frame will be guaranteed to get one. 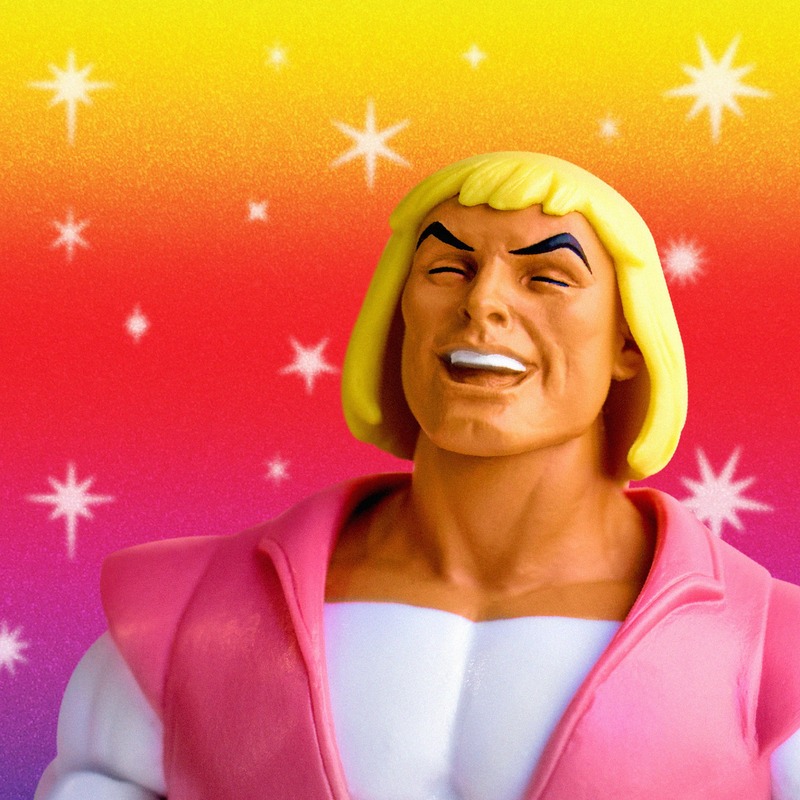 The Prince Adam figure will be $35. See some additional details below. As previously announced, Laughing Prince Adam will be available at our Hordak’s Lair pop-up event during San Diego Comi-Con. However, for those who cannot attend Comic-Con we are launching a pre-order for Laughing Prince Adam on Monday, July 9th that will close on Sunday, July 22nd. The price is $35 per figure which is the same as it will be in San Diego. A link to the pre-order site will be posted and shared next Monday. IMPORTANT NOTE: There will NOT be a pick up option for pre-orders at Comic-Con or the Hordak’s Lair Pop-Up Event. The figures that are pre-ordered online will be received in October when they are shipped from our factory. The pre-orders will be made to order and the existing Laughing Prince Adam stock will only be available during San Diego Comic-Con for in-person purchases only. By doing this we hope that everyone who wants to bring Laughing Prince Adam into their lives can do so. I would love to own this. But I will never own this. While I, on the other hand, will sincerely love to never own any of this. Would buy this in a heartbeat for $30. This is hilarious. I spent my entire sdcc budget on the tmnt boxset. The figure existing makes me happy. The song being stuck in my head for the next week does not. Does Super 7 offer convention exclusives to non-attendees the way Mattel used to? I lost interest in MOTUC a long time ago, but that is freaking hilarious. 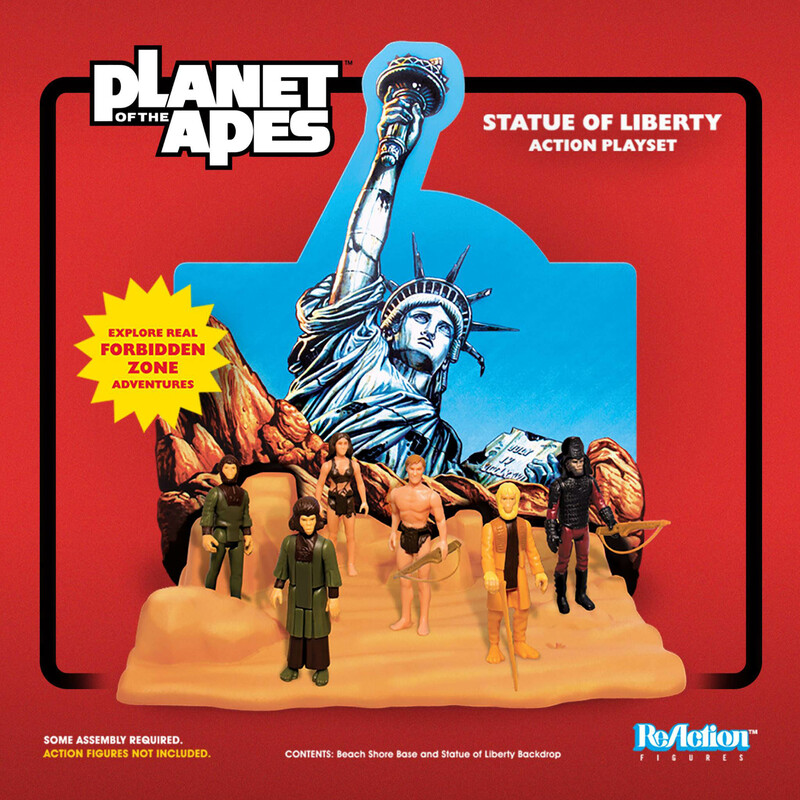 I love the POTA set! They can recolor the set and call it "Escape from New York" playset. Hammerhead Alien is hysterical. Too bad they didn't change a hand and include a blaster or bar glass. Ok so I think I need this. Love them and hope to see them all available after the con. I really like the Universal Monsters, especially the card backs. At the very least I need to get a Gilman and Wolfman. Seems like we will be able to get it as non attendees. They will post a link for preorders next monday, according to an email they sent. They should be posting preorder links next monday and seems they will have the factory manufacture them against the number of preorders, so everyone will have their Adam!!! That's what I like the most about them, they remind me of silkscreen prints, they're going to look great on my wall, really excited about these. Man this is awesome news. I was pretty miffed I missed out on the He-man/Skeletor 2 pack but snagged the single release pre-orders, and figured I'd not be getting this Prince Adam since I'm not attending. 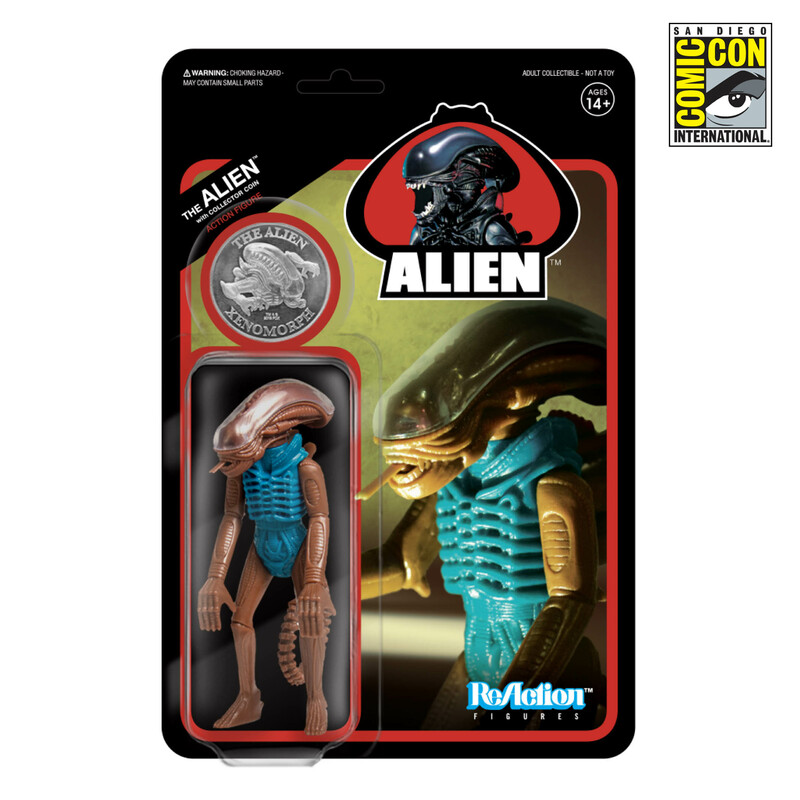 This gets Super7 some good karma points, their pre-order window means anyone who wants this can get it, that's great! Very glad they did that. While I will be sad that I won't have it immediately and others will, I'll take what I can get. Even saltier when stuff drops at SDCC, I'm there, but don't have time to wait in lines. :/ At least I don't have to pay double or triple when I get home this time. that is freaking hilarious,i love that.